FANTASTIC - No DEPOSIT, Interest FREE OFFERS Buy Now! 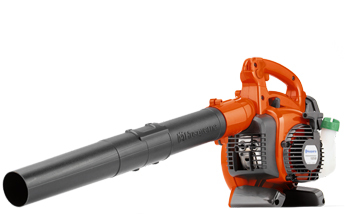 Choose mulch & catch, self propelled, battery & more! For home use to commercial, check out our huge range! A HUGE range of Accessories for your Ride On! Great deals on Clearing Saws! Our range is sure to keep your hedges in shape! We have a range of small engines to suit your needs. Save time & energy on your next agricultural project. Tough, compact & ideal for a range of terrains! If you're looking for a QUALITY Ride On Mower, Lawn Mower, Brushcutter/Line trimmer, Chainsaw, Log Splitter, Generator or any other Outdoor Power Equipment, you have come to the right place! Our policy of BIGGEST Range, BETTER Service, EXPERT Product Knowledge & BEST Prices goes a long way to achieving your complete satifaction. In fact our Business Mission not only states... To find you the Best Ride On Mower, Lawn Mower, Brushcutter/Line trimmer, Chainsaw, Log Splitter, Generator or any other Outdoor Power Equipment to suit YOUR needs... BUT TO ALSO ASSIST YOU in the MAINTENANCE, REPAIR and USE of those Products! Our success in Satisfying customers has lead us to being awarded Husqvarna's prestigious PLATINUM CROWN Dealer Status, and Honda's Power Equipment Victorian Sales Dealer of the year... 4 Years Running! We are a family owned and operated business and pledge to treat you the way we would like to be treated. So check out our website and visit one of the SIX Melbourne's Mower Centre & The RedShed Superstores to get the BEST product to suit your needs, we are looking forward to assisting you! We offer our customers the biggest range and the best prices for ride on mowers in Melbourne. We stock all types of ride on mowers, including tractor, zero turn, front deck and commercial ride ons. As well as a range of second hand models, both "as is" and with warrantry . When choosing which ride on mower is best suited to your needs, our team can help you decide, based on the size and shape of your grass areas, your preferred transmission, deck type/size, and other features. And of course, your budget. We also offer interest free finance on every ride on mower in our stores, giving you the option to buy now and pay later. We stock more ride on mowers than anyone in Melbourne, with several hundred units in stock at any given time, so you can be confident that we have your prefect ride on mower ready and waiting for you. Come in to a RedShed ride on mower super store today, and check out our huge range. We offer our customers the biggest range and the best prices for lawn mowers in Melbourne, as well as expert advice, to help you select a new mower that is perfect for your needs. Our huge lawn mower range includes petrol, electric and battery powered mowers, muching and catching mowers, and lots more, from all the best brands like Honda, Husqvarna and Masport. How's this for choice... Try a self-propelled or a key start mower, and make mowing the lawn a breeze. Or a side throw utility mower, perfect for the toughest jobs and longest grass. We also stock "light as air" hover mowers, for easy mowing on slopes. Or how about a futuristic "set and forget" robotic auto-mower, for the ultimate feet-up mowing experience! Check out our range of reel and cylinder mowers, for that perfectly manicured "bowling green" finsh. 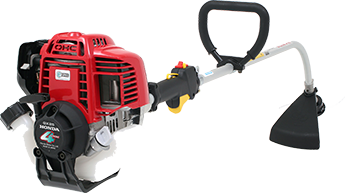 And for the contractor or serious home gardener, we have a wide range of commercial mowers, with features like cast iron engine bores, and bigger air fitlers for extreme durability. We even have person powered push mowers like your grandad used to use! With literally hundreds of lawn mowers in stock at any given time, we are sure to have one that is perfect for you. 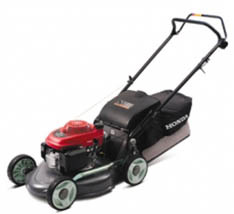 And don't forget we also have the biggest range of second hand lawnmowers in Melbourne. "As traded" lawn mowers start from just $100. Our team can help you choose a great new lawnmower that is perfectly suited to your needs and your garden, so come in and see us today. We offer our customers the most comprehensive range of high quality log splitters in Melbourne. We stock a wide range of petrol and electric log splitters – including versatile horizontal and vertical use models. We also stock a variety of accessories that are designed to maximise the use of your logsplitter. We are certified dealers for RedGum logsplitters in Melbourne, which are the highest quality and best value Honda powered log splitters on the market. At the RedShed we are always happy to help you, and recommend a log splitter that will suit your needs and budget, so come in and see us today!